The best way to compete with sellers of the same products is through the price. 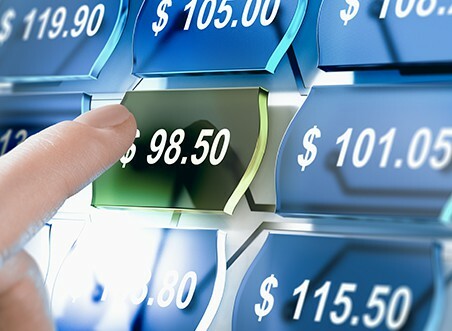 Formulate your own Amazon pricing strategies by following these simple tips exclusively made for the Amazon sellers out there. As an Amazon seller, it is quite important for you to learn how to formulate different Amazon seller pricing strategies that are best suited for your products and for your customer’s demands. Intelligently setting a competitive Amazon price for your items, can make or break a sale when a customer is trying to determine where to purchase from. As you develop a price for your goods, it’s crucial to have a foundation or an Amazon pricing strategy. Do not be the type of seller who always aims to have Amazon’s lowest price for a product. When you take this approach, you are likely to make little to no profit for a sale. That is why it is advisable to not price your products too low. However, if your products are priced too high, customers may ignore your Amazon listing all together and purchase from another, more reasonable, seller. 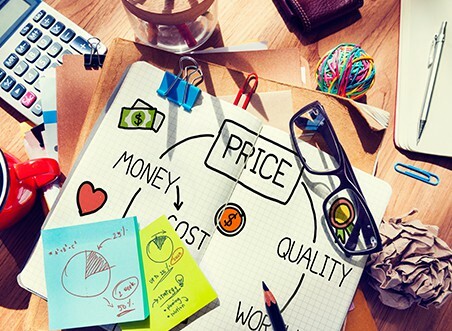 For this reason, conducting an Amazon pricing strategy analysis, or having a third-party repricer tool do it for you, may be beneficial as you work to set your product prices. You may have several other sellers on Amazon who are selling similar products. These sellers are your competition. Their pricing strategies are something that you may want to consider learning from when developing your own pricing plan. For example, if your competitor is selling an item for $4.00, you can price your item at the same price ($4) or slightly lower ($3.95). It’s never a good idea to undercut your competitor by a larger amount, because consumers may have a tendency to trust a significantly cheaper product even less. Also, then you may be starting a price war, in which, neither party is likely to make any money. It’s smart to just know your competition, understand their pricing strategies and then plan your pricing strategies in a similar way. It is good to consider the amount of customers willing to buy your product(s) that are being stocked by you or in the Amazon FBA warehouse. If you have a lot of products stocked in FBA, then it can be an indicator for you to lower the price so you can sell more before having to pay long-term FBA storage fees. If the demand is greater than your supply, then you can consider increasing the price or keeping it the same as competition. In the end, an Amazon pricing tool may be the solution to all your worries. You will be able to increase your efficiency and have an automated way to track competitor pricing. You can set repricing parameters in a repricer tool, set repricing strategies and then just sit back and watch your Amazon sales increase. Many Amazon repricer tools, like the one offered at SellerMobile, will help increase your BuyBox wins. Again, you can set your repricing parameters within a repricer tool to protect yourself and your seller account from losing profits.